a rare daguerreotype street scene on loan from the renowned Gilman Paper Company Collection, all of the photographs in the exhibition were drawn from the collection of the Metropolitan's Department of Photographs. 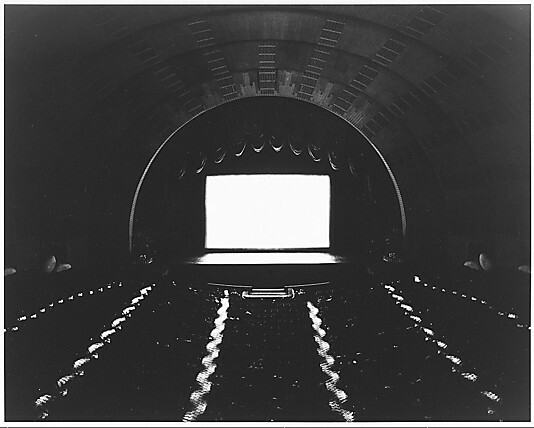 Hiroshi Sugimoto's elegant Radio City Music Hall, New York (1978). 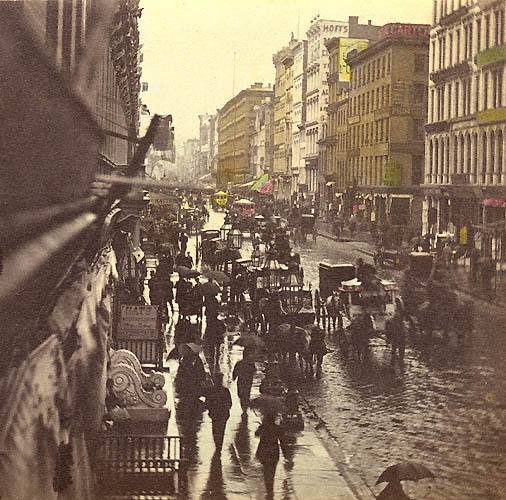 Among fascinating images of the city's architectural heritage, its explosive commerce, and its expanding population were dramatic views of airy 19th-century row houses and of the 20th-century skyscrapers that replaced them. 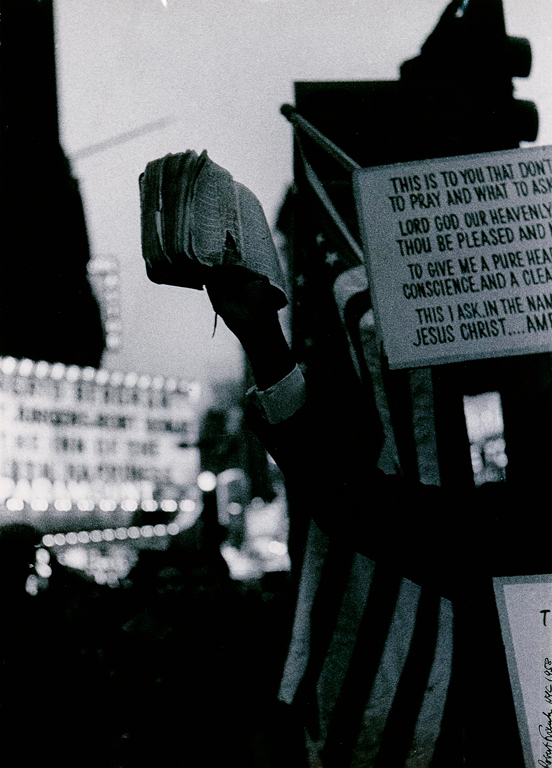 and Times Square, New York, a photograph of a street preacher by Robert Frank (1954). capture the post-war optimism of a generation. These artists explored the city's psychic temperament and evoked its vitality as well its moments of stunning emptiness and, at times, alienation. The exhibition also featured children at play on the city's streets. 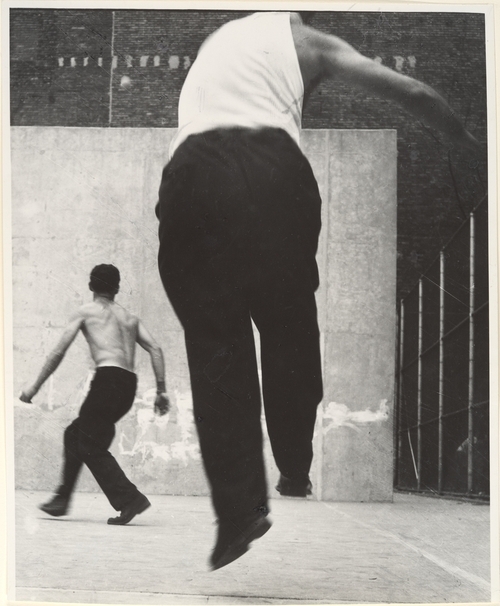 and Leon Levinstein's even more athletic Handball Players, Lower East Side, New York (ca. 1958). Lewis Hine's Icarus, Empire State Building (1930). 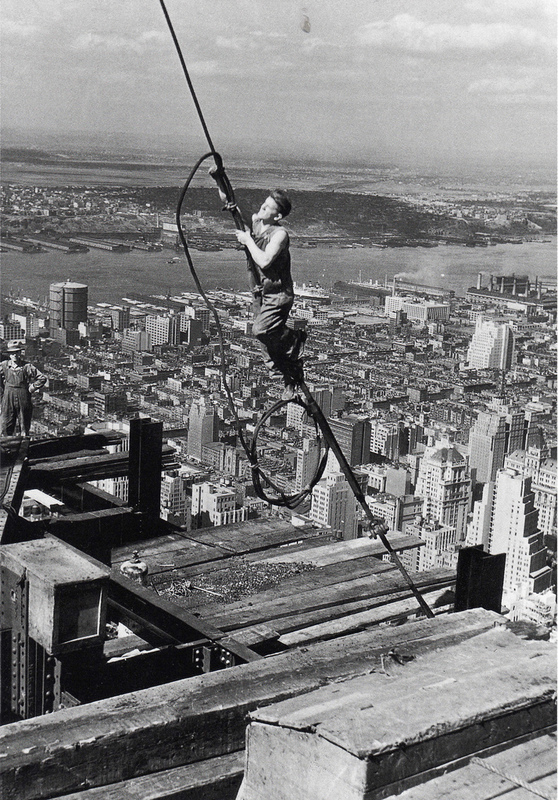 In this spectacular photograph, a lone steel-worker in a boundless sky, far above the burgeoning city, straddles a construction cable, tightening a clamp as if performing a high-wire act. Edward Steichen's The Flatiron (1904). This view of what was then the city's tallest building is the quintessential chromatic study of twilight in the city and a prime example of the conscious effort of photographers working at the turn of the century to assert the artistic potential of their medium. 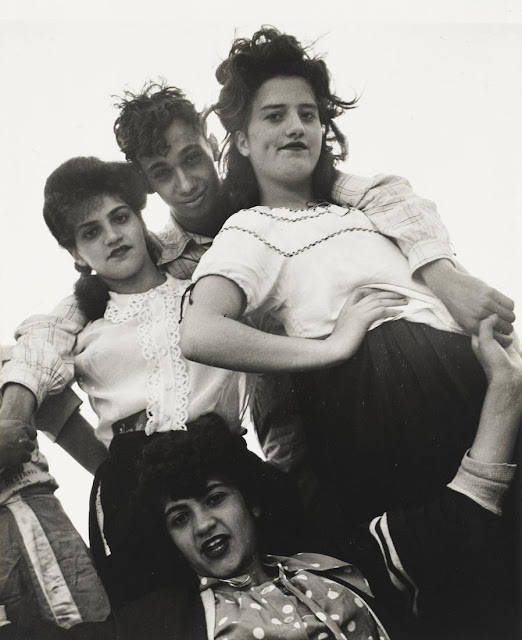 New York, New York: Photographs from the Collection was organized by Jeff L. Rosenheim, Assistant Curator in the Metropolitan's Department of Photographs.